The last twenty-two years of my life were spent as an athlete. I’d have the say the last six were the most proudest. Not because of medals earned, but because these years were when I put into action the idea learned as a young athlete: the idea of giving back. And what do I have to thank for finding the vehicle in which allowed me to begin to share, connect, inspire and in turn be so utterly inspired? Right to Play. Johann Koss is much to blame. He set the example for all athletes in 1994. After winning three gold medals and making three donations of all his medal bonus money from the Norwegian government, tens of thousands of dollars, he focused the world’s attention on the rights of children world-wide to engage in sport and play. Johann stood for what he believed in being the most fundamental tool of learning, growth and development. In fact, he changes the world of over 800,000 kids each week in some of the most challenged countries in the world. For me this meant giving money and time and energy to do the same (or at least try to), supporting the programs that foster this ideal. Right to Play always brings me back the very essence of sport. It brought me back time and again to the sheer joy of being a kid again while engaged in the sports that sometimes made me feel very old, very tired. Most importantly, being connected to RTP allowed me to feel what I was doing in preparing for sporting excellence meant something more that just being fast skating circles or pedaling my bike. It allowed me to reach out and connect with the human condition and know that I was not just living for myself. And now, this connection continues. Level the Field is an initiative that I hope will connect not only more Canadians with these ideals already mentioned, it will connect more kids with the very real life situations of most kids in our world. I am partnered with Heather Greenwood-Davis http://globetrottingmama.com/help-level-the-field-for-rwandan-kids-peace-through-play-in-africa/ , a fantastic blogger, and together we will share our stories of being connected to kids, motherhood (Heather not me! ), sport, play, this world at large and what we are doing to make it a better, safer more prosperous place for children world-wide with the ultimate hope of giving every child the Right to Play. We are focused on Peace through Play and want you, too, to be engaged in this ideal. You will be connected and inspired. You can vote on the various initiatives outlined on the Facebook page. Now that I am not an athlete in the racing sense, it doesn’t mean I am not competitive. 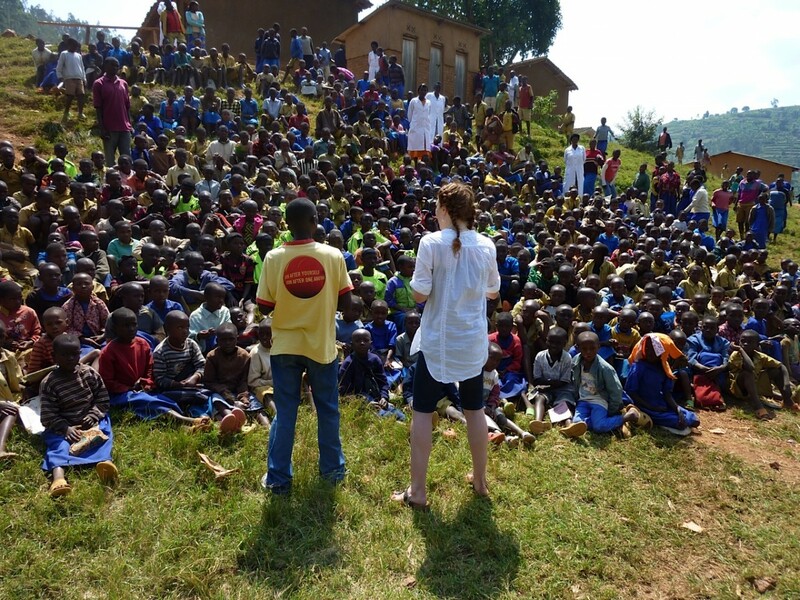 If you vote for Heather and I and the ‘Peace through Play’ program, we will travel to Rwanda in the Spring to see the Level the Field program in action. Not only that, one of you will come along, too. How great is that! Every child deserves the Right to Play. We owe it to each and every one of them to allow for the power of play to be accessible in their world.